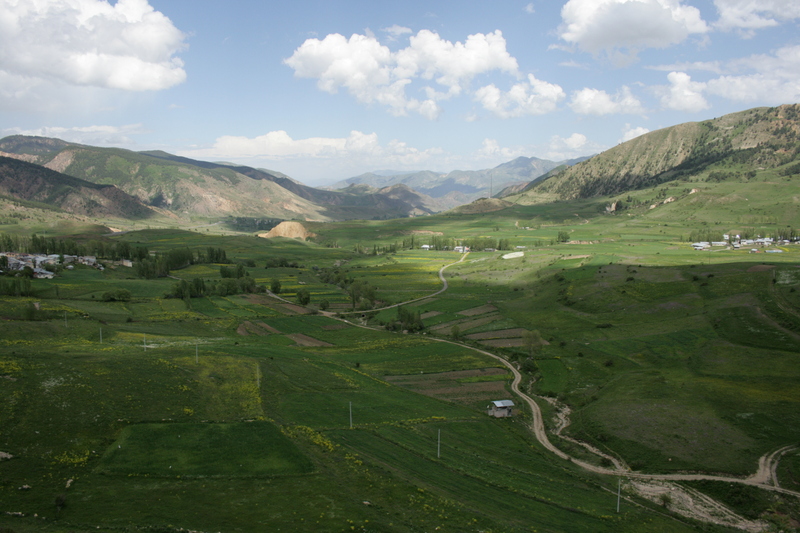 Time is short, as tomorrow morning we fly from Georgia over the Caspian sea to Kazakhstan, having had difficulties with our Azeri visa. 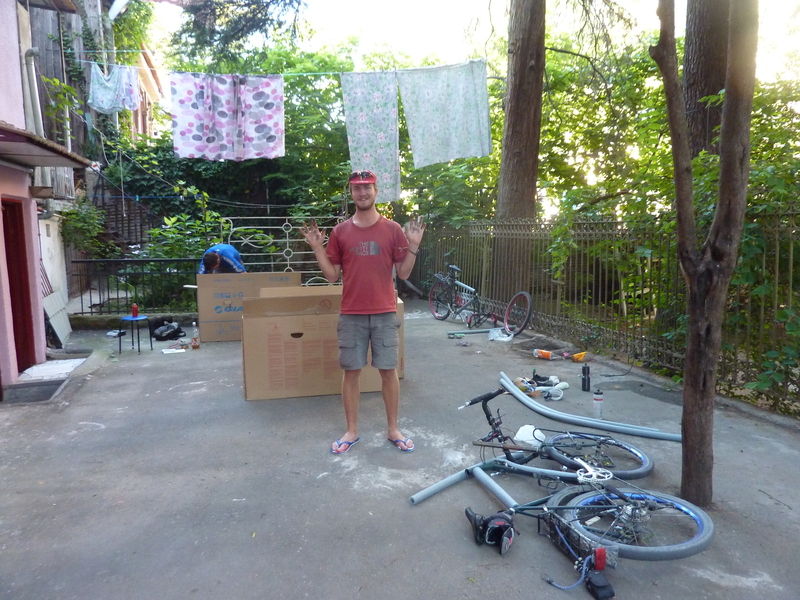 The last three days have been hectic, as we have scoured Tibilisi for bike boxes, spare parts and equipment. After our last blog entry in Cappadocia ‘Turkey tummy’ struck again, and we were forced to take a bus to remain on schedule. 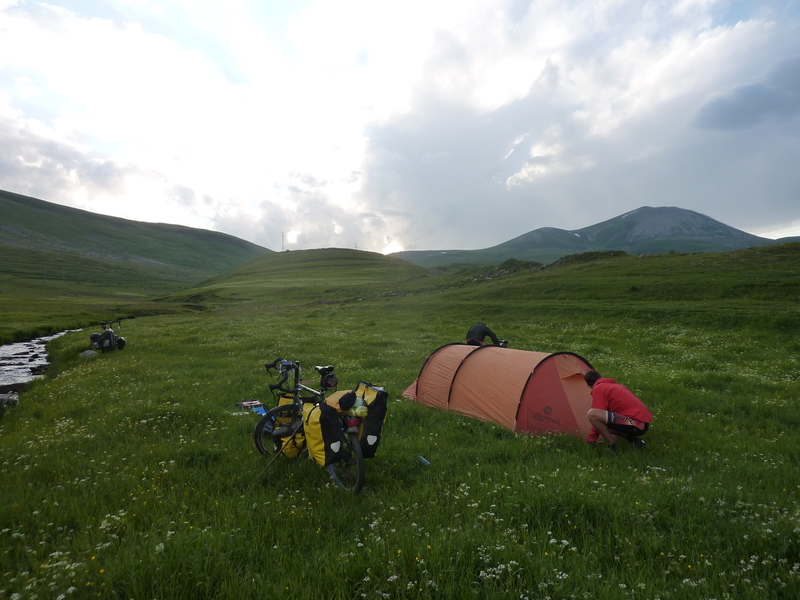 The mountainous North West of the country was lacking the riots and chaos of Istanbul, but we still managed to find ourselves not only surrounded by snipers, but awoken in the dead of night by a rifle-wielding nomad on horseback. 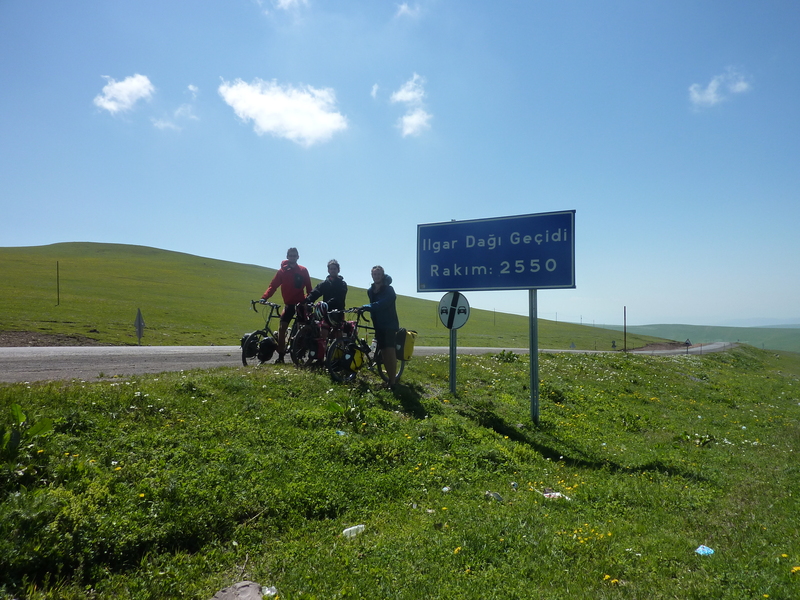 After getting within tear-gassing distance of the Georgian border, we were snookered by the revelation that the crossing point was closed, and were forced to take a 100km+ diversion over some enormous climbs. Close to the border we summited at 2550m, the highest any of us had ever ridden. The air was noticeably thinner, which may account in part for our poor decision making once over the border. Reaching the first town, we were soon several beers down, and cycling didn’t really seem on the cards for the remainder of the day. By half past eight, we were to be found in a basement bar, shooting vodka with the all too enthusiastic owner. The next morning saw Rob and Josh largely unable to eat, and the majority of the day spend languishing in our room. Continuing through Georgia, we began our intensive training to compete for team GB in the 500m cyclo-canine sprint. 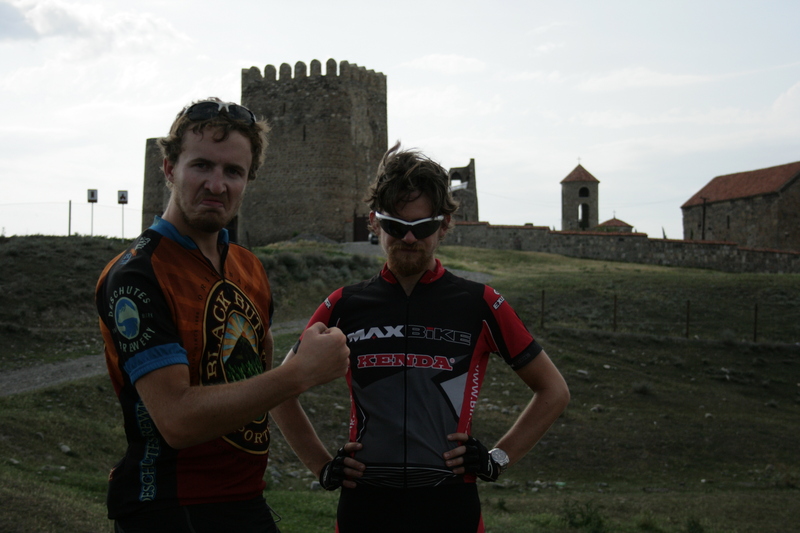 Attacked by dogs in every village, we took to riding through brandishing sticks like 21st century jousting knights. 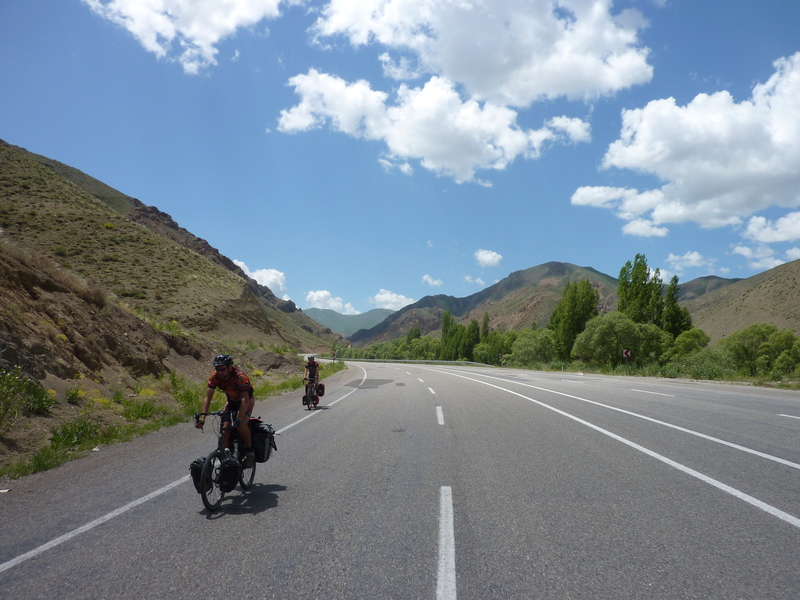 On Sunday we will be cycling into the deserts of Kazakhstan, heading towards the Uzbek border. Great pictures. We need more! Thanks! Good to know that you are enjoying the photos. 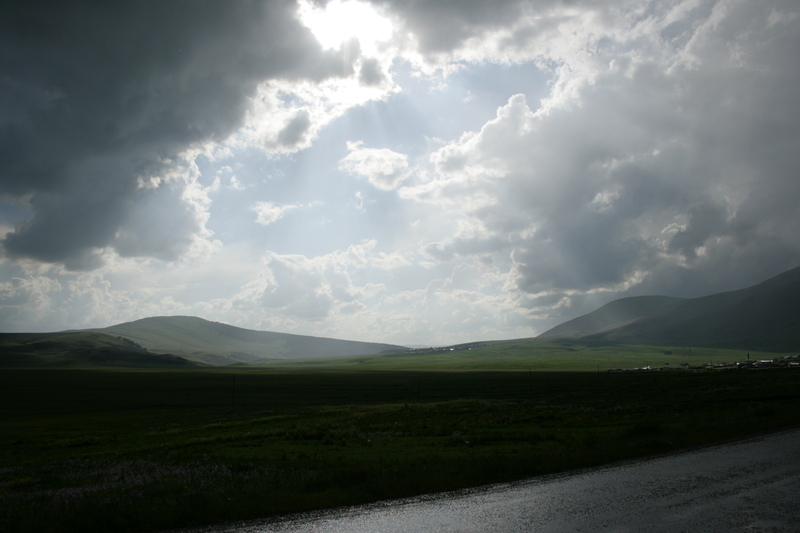 We would love to upload more, but it is not easy with technology and time constraints. this is sick. it’s fascinating to read about your journey rob. nice work man! Hey! Glad you’re enjoying the blog. If you are still in Korea in October then you might find yourself featured on it! Top stuff gents, still sounds great and the puns are fantastic. well done men! you intrepid musketeers. slightly worried about your trip through the desert but no doubt you have had a strict mental and physical regime in readiness(well you would have done but it didn’t include beer) fantastic progress dog whisperers.